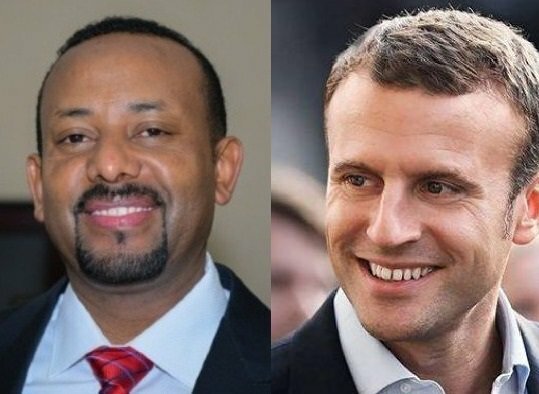 Addis Ababa, July 14, 2018 (FBC) -French President Emmanuel Macron called Prime Minister Dr Abiy Ahmed on French National Holiday and congratulated him on the historic breakthrough of peace that is achieved between Ethiopia and Eritrea. President Macron affirmed France’s support for Ethiopia’s reforms and invited the Prime Minister to visit France, according to Office of the Prime Minister. Ethiopia and Eritrea agreed last Monday to restore their diplomatic relations that were severed for the past 20 years. They agreed to reopen embassies, resume flights and direct telephone lines during the visit of the Ethiopian Prime Minister Dr Abiy Ahmed last Sunday. Eritrean President Isaias Afeworki arrived in Ethiopia today-less than a week after the two countries declared the official end border war. Later in the afternoon, he visited the Hawassa industrial park located in the SNNP regional state. Eritrea will open its embassy in Ethiopia next Monday. The Ethiopian Airlines will also resume daily flights to the Eritrean capital Asmara as of July 18, 2018.